It is OK to be upset with Facebook. It’s even OK to not fully understand why you are upset with Facebook this time. In a year of monthly, sometimes weekly, complicated scandals for the social network, it can be difficult to keep track of the exact reason or moment you lost trust in it. If what you are certain of is that you want to leave Facebook for good, here is what you need to know — including some reasons why you may want to reconsider. A recent New York Times investigation found Facebook (FB) had shared more user information than previously thought with outside companies, such as Amazon and Spotify, as part of special partnership deals. Some companies had access to private messages and names of friends. The Times’ report follows years of the company mishandling user data and increasing concerns about its ability to protect people’s privacy. Deleting your profile could hurt you more than it does Facebook, and it might be unfair to punish yourself instead of the organization responsible. And the thing is, if you quit Facebook the network, that doesn’t mean you’re quitting Facebook the company. Doing that means deleting all of its products including Instagram, WhatsApp and Messenger. Ghosting all the dogs you follow on Instagram could be a harder sell than giving up the toxic political rants you can find on Facebook. Facebook has been collecting information on you for years, and maybe even a decade, depending on when you signed up. And there’s a good chance that at least some of the information Facebook has on you has already been shared with a number of other companies. And it’s not just Facebook. Other apps on your phone, sites you’ve visited, and advertising companies are constantly collecting information about where you go and what you’re interested in. Deleting Facebook will not get that information back — you will live on forever in databases — though it will limit how much those companies collect going forward. If you want to delete your account to send a message to the company, consider this: Facebook has around 2.3 billion users around the world. Even after the year it has had, including a viral #deletefacebook movement, the company has continued to grow that number. While Facebook is likely unhappy with the never-ending bad news and tumbling share prices, the reality is that a few hundred or thousand people deleting their accounts won’t hurt it. Especially if many of them keep using Instagram. The bigger issue could be usage dropping and impacting ad sales. Boycotting might not push Mark Zuckerberg to make a dramatic change at the company, but government intervention could. Vaidhyanathan thinks it would be more effective if users urge lawmakers to come up with legislative and regulatory interventions to reign in the abuse of personal data, not just by Facebook but by all technology companies. “Our first step is recognize our weakness as Facebook users, and then recognize our strength as citizens,” Vaidhyanathan said. Facebook is already getting pressure and fines from European and UK regulators who now enforce stricter data protection measures than their US counterparts. In the United States, the company is facing its first major governmental action over the Cambridge Analytica scandal from the DC attorney general. There’s also a chance it could be in trouble with the FTC. Of course there are still plenty of good reasons to quit Facebook, like minimizing your risk of seeing misinformation or being distracted by baby pictures when you should be working or looking at your own baby. And doing so can also reduce the risk that your data might in the future be used or shared in ways you don’t like. “I think quitting Facebook for peace of mind is a wonderful idea. Facebook can be a real drag these days,” says Vaidhyanathan, who still uses the service to keep up with happenings in his neighborhood. Before going full delete, test out a life without Facebook for a week or more by deactivating your account. Deactivation is an option that Facebook pushes instead of deletion. It removes your profile and most traces of you from the social network, but saves everything so can restore your account at any time. If you had no issues or regrets during the trial period, go ahead and delete it. First, download all of your years of data. On the desktop version of Facebook, click the triangle in the top right corner and select Settings. Select Your Facebook Information and Download Your Information. Get alternative contact information for important contacts. Finally, Go to Settings, Your Facebook Information, Delete Your Account and Information. Click the blue Delete Account button. It will take up to 90 days for Facebook to clear out all your information, and it will keep some anonymized data, like logs of when you posted and if there was a comment on it. Congratulations, you have more time to check Twitter. SAN FRANCISCO — Some well-known people said this week they were deleting their Facebook accounts: pioneering tech journalist Walt Mossberg, author and law professor Tim Wu and singer and actress Cher, who was re-upping a vow she made in March. America, though, doesn’t appear to be joining in lockstep. Nor does the rest of the world. The decision whether to quit the world’s biggest social network is playing out online and off, after a series of scandals around the company, and it is illustrating a sharp divide between those who have the luxury to do without Facebook and others who, whether they like it or not, consider Facebook — and its other services Instagram and WhatsApp — to be essential. In interviews and on social media, an array of people said they haven’t deleted their accounts because they either see genuine value in Facebook or they feel trapped on the service. That is despite their concerns about the company, ranging from what some call its toxic political discussions to feelings of envy or insecurity from seeing curated details of others’ lives. 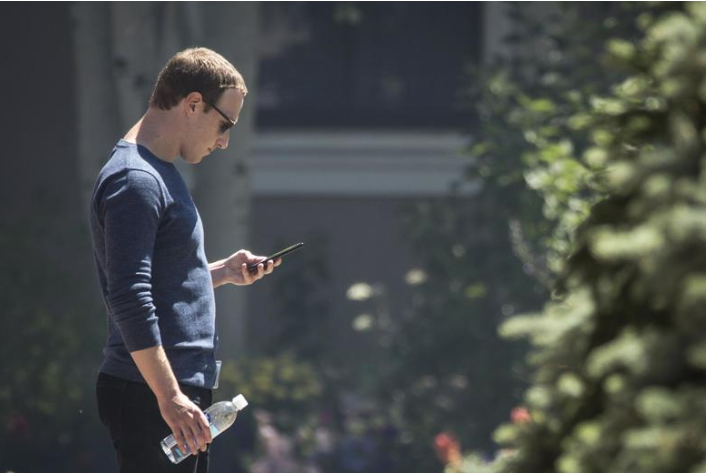 Facebook users said they do not see a ready alternative to some of what it offers, like keeping in touch with childhood friends and distant family members, or finding out about nearby events. “There are some folks who have the privilege of quitting, and some folks who don’t,” said Jessica González, deputy director of Free Press, a nonprofit that scrutinizes the media including internet firms such as Facebook. González said she was close to quitting Facebook, but wasn’t ready to do so yet. She said there has been a lively debate among activists who believe the company is abusing society by mishandling personal information and disseminating false news stories, but who also rely on Facebook to reach an audience, raise money or organize events. 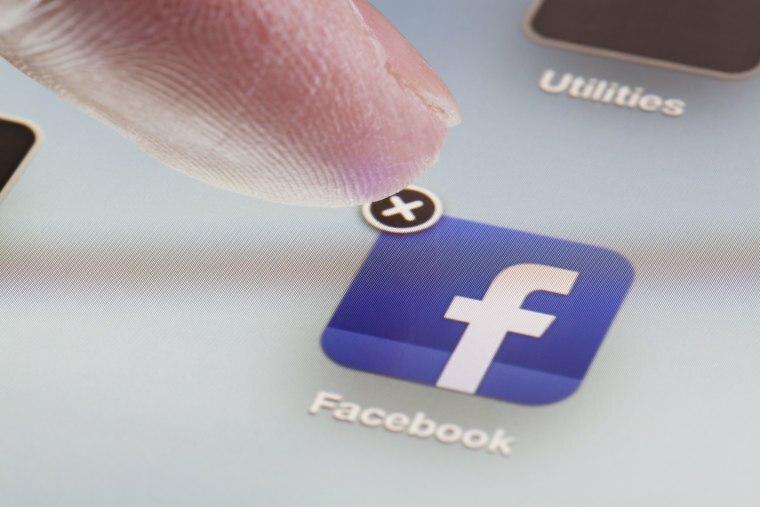 A study published in April found that individuals with higher incomes reported they were slightly more likely to have deactivated their Facebook account or considered doing so. Lehigh University computer scientist Eric Baumer, who wrote the study, said that people with higher incomes may be more aware that deactivation is an option, or may have less need for the “social capital” that networking websites may provide. “Facebook, rather than acting as a democratizer, may be perpetuating existing social inequalities,” Baumer wrote. Celebrities including actor and comedian Will Ferrell and billionaire tech baron Elon Musk have quit Facebook after a series of scandals have rocked the company the past two years. Facebook has been blamed for the viral spread of fake news around the world, its failure to detect Russian operatives who used the network to try to sway the 2016 U.S. election and the mishandling of personal data, including information that ended up in the hands of political consultancy Cambridge Analytica. The attorney general for Washington, D.C., sued Facebook on Wednesday over its data practices. Shares in the company closed on Friday down 43 percent from their all-time high. Others, though, have chosen to focus on the upside of the social network. “Today via Facebook, I found out about a support group for a very sick friend--via FB is how people are getting in touch to show support,” Steven Sinofsky, a venture capitalist, wrote on Twitter. “In all the talk about FB, a reminder that it offers something that otherwise has no other readily available solution,” he added. His firm, Andreessen Horowitz, was an early Facebook investor. CEO Mark Zuckerberg has said that he designed Facebook to be indispensable, comparing the social network to a utility as if it provided running water. “Building a network and building relationships is one of the most core things that people do, and that is an enduring utility that people need; that is not a fad,” he told Recode in July. It continues to add features designed to keep people around, such as tools to make Facebook groups more useful, especially for people who run them, and a dating service. Some parts of its business, such as a network that places ads elsewhere online, make Facebook even harderto avoid. A study published this month sought to put a dollar value on the free social network. It concluded that the average Facebook user would require more than $1,000 in exchange for deactivating their account for one year. "For lower-income people in this country, but also for poor people around the world, the tools that Facebook owns are in many ways the internet." Outside the United States, Facebook and its WhatsApp service can be even more influential as a hub for shopping or news — sometimes with deadly consequences. Facebook subsidizes internet access in poor areas through a program called Free Basics. “For lower-income people in this country, but also for poor people around the world, the tools that Facebook owns are in many ways the internet,” said Henry Fernandez, a senior fellow at the Center for American Progress. Though he has criticized Facebook’s record on human rights, Fernandez said he maintains Facebook and WhatsApp accounts to stay in touch with friends. American users are more valuable for Facebook because advertisers want their attention. Last quarter, Facebook earned $27.61 per U.S. and Canadian user, compared to $8.82 per European user and $2.67 per Asia-Pacific user. Silicon Valley has a word, “sticky,” for a service that people can’t tear themselves away from, although the lack of a direct competitor in social media also leads to the accusation that Facebook is a monopoly. “Silicon Valley companies have created competition-free zones. We have to change that,” said Rashad Robinson, president of Color of Change, a civil rights group. Zuckerberg has said that Facebook has various competitors, such as Apple for messaging and YouTube for video consumption. Color of Change has criticized Facebook for not policing hate groups more aggressively, but Robinson said Facebook is also a necessity that needs fixing. He’s still on the service, and he compared people who delete their accounts to parents who flee certain school districts without doing anything to help. “It’s like people opting out of bad schools. Some people are still going to be there and can’t opt out,” he said. But privileged people who quit social media may themselves be providing an indispensable service by demonstrating what a life without it is like, Jaron Lanier, a computer scientist and author of the book, “Ten Arguments for Deleting Your Social Media Accounts Right Now,” wrote in the Guardian this year. “The primary value of a boycott in this case is not mere protest to damage Facebook, but to invent what life can be like today without the social network,” he said. Can you #deletefacebook if you don't also delete Instagram and WhatsApp? If you quit Facebook, do you have to quit the whole company? Or is there a reasonable case to be made for sticking with Facebook subsidiaries Instagram and Whatsapp, even while you ditch the big blue app? There’s an emerging conventional wisdom that abandoning Facebook but staying on Instagram and Whatsapp is self-defeating, nonsensical, or a copout. Quitting all of Facebook’s properties is harder still—especially if you find Snapchat confusing and Twitter hostile, overwhelming, or unrewarding. And while staying on Instagram or Whatsapp might undermine some aspects of the decision to leave Facebook, it isn’t a crazy middle ground, depending on what you’re trying to achieve. If your goal is to opt out of Facebook’s digital surveillance apparatus altogether, then you probably should quit Instagram and Whatsapp too—along with Messenger and Oculus VR. But beware that you won’t have totally escaped the social network. That said, there are plenty of other reasons you might want to quit Facebook. First, to limit your personal data exposure. Facebook proper almost certainly collects more types of information on you than do its subsidiaries, because it’s integrated into so many facets of the wider internet. It has a far more extensive track record of granting access to that data to third parties. It attracts more advertisers than Instagram (although Instagram’s ad business is growing fast), and Whatsapp still doesn’t have ads at all (although it will soon). In short, the scale of Facebook’s personal data-gathering operation is much greater than that of its sibling apps. Not that you should count on it staying that way forever, but if you’re a privacy pragmatist, quitting Facebook probably gets you farther than quitting Instagram or Whatsapp. Oh, and Facebook is the one that has actually been hacked. Second, to protest its effects on democracy and the media. It’s clear now that Facebook wasn’t the only social network exploited by Russian trolls. But even if foreign agents are building brands on YouTube and Instagram as well, Facebook served as a focal point for Russia’s efforts to influence the 2016 election, including groups formed to push polarizing memes and even organize real-world protests. And forget Russia for a second: Facebook’s news feed has put the entire journalism industry through a wood-chipper, chewing up credible outlets whose headlines weren’t sensational enough and spitting out fly-by-night fake news and propaganda shops. Instagram memes can be misleading or harmful, and WhatsApp groups can spread hate and fuel violence, especially outside the U.S. where the app is used for more than just messaging. But neither has upended the information economy to the same degree as Facebook itself. To put it another way: Neither was as complicit as Facebook in the horror show of an election cycle that gave us President Trump. But here’s the most underrated reason why it might make sense for people to quit Facebook, even if they can’t bring themselves to quit the other two right now: For many, Facebook just isn’t as fun anymore. This is not universally true, of course. Some people find the perfect-looking lives depicted on Instagram more depressing than keeping up with their friends and family on Facebook. Many Americans have no use for WhatsApp at all, especially if they don’t have close friends or family abroad. That said, there plenty of others for whom Facebook has become the most dispensable of the three. It’s less intimate, less focused, and more filled with distant acquaintances, forgotten high-school classmates, and irksome uncles. And despite changes to the news feed aimed at making it more personal, there are still plenty of spammy headlines and manipulative videos to sift through. All of which is to say: You don’t have to quit any social network. Even just spending less time on the ones that bother you most can be salutary. But if you do want to vote with your feet, #deletefacebook is not the worst place to start. And you aren’t necessarily naïve or a hypocrite if you stay on Instagram, Whatsapp, or both. After all, the unfortunate reality is that there aren’t a lot of prominent social networks that Facebook doesn’t own. View My Blocked List On Facebook | Facebook Blocked Lists – View blocked users | A fast way to See blocked profiles – Review Cast: Want to find those you blocked on Facebook so you can unblock them? Once in a long while, it’s okay to visit those people on your blocked list to make certain that you didn’t actually blocked them in error. Facebook is a social network that runs via the power of friendship – blocking so many people won’t help you and not blocking annoying Facebook friends won’t be an option either. So how do you go about accessing those friends or Facebook users that you’ve blocked? We shall see A fast way to locate users blocked by you on FB. Your future spouse might be on your own personal Facebook blocked list. Sometimes go to your own personal Facebook Blocked List just to see how your prisoners are doing. please share this(View My Blocked List On Facebook | Facebook Blocked Lists – View blocked users | How to See blocked profiles – Review Cast) on facebook and all?? A fast way to View & Unblock My blocked Facebook friends Right Now: Perhaps you had blocked your friend deliberately or erroneously and you want to reverse that action, all you have to do is to unblock that friend. So, do you want to know A fast way to unblock your own personal Facebook friend? We’ll be showing you in a jiffy. Click on “Unblock” next to the name of the person you want to unblock. On the pop-up screen, you will be asked if you want to unblock the person, click on “Confirm” at the bottom of the pop-up screen to unblock that Facebook friend. please share this(How to View And Unblock My blocked Facebook friends Right Now) on facebook and all?? Everybody knows exactly what Facebook is, and it is tough to locate the individual which doesn't have the account on this social media network. Facebook has lots of good sides -- we could get in touch with individuals we enjoy regardless of just how much they live, we could share statuses, pictures and also video clips, we can send out messages, and more. There are some negative sides as well. People do invest too much time on the social media websites instead of heading out even more as well as talking with each other, which is why some users chose to erase their social network accounts. If you do not intend to use Facebook any longer, this social media is giving you lots of time to meticulously consider this, because as soon as you delete the profile, there is no reversing. Whatever will be shed-- messages, images, friends, and more. And also, removing your account is not something that you can do with a couple of clicks. Let's see Can You Permanently Delete Facebook Account. The alternative you can locate is to deactivate your account, as well as if you do this, your account will not be visible to your Facebook friends as well as other users of this social media. If you alter your mind as well as want to make use of Facebook once more, all you should do is log in. Your messages, photos, friends - everything will exist. Again, if you delete the account, you will not have the ability to reactivate it and the material you added will be erased. That is why Facebook encourages the users to download the duplicate of their info. To do that, click the account menu (triangle symbol located at the upper-right edge), click Settings and afterwards click "download a copy of your Facebook data", adhered to by "Start my archive". A fast way to View Your Blocked List – Facebook Security Tips: Want to find those you blocked on Facebook so you can unblock them? Once in a long while, it’s okay to visit those people on your blocked list to make certain that you didn’t actually blocked them in error. please share this(How To View Your Blocked List – Facebook Security Tips) on facebook and all?? How to Permanently Delete Facebook Account - Facebook is a great way you can constantly stay in touch with friends and family. Sadly, for some people, this is not usually the case. For some people, the constant assault they receive from updates, messages, likes, pokes and advertisements can become a bit overwhelming, not to mention highly addictive. Ongoing questions over Facebook User’s privacy practices – including a class action lawsuit in Austria involving 25,000 users that claim Facebook illegally tracked users’ browsing habits via software installed on other web pages, and participated in “Prism”, the American spy programme – are also making some people have a rethink about their membership of the social network. If you are fed up and want to rid yourself of your account, you have two choices. You can either deactivate your Facebook account, which means your profile will disappear from the social network but all the information in your account stays saved on Facebook’s servers in case you decide to return, or you can permanently delete your account, which means all your data will be wiped from Facebook’s servers and you will not be able to regain access to that particular account. Deleting a Facebook account is a very frequent topic amongst Facebook users. Each user wants to delete his/her Facebook account for various reasons, some want to delete because they have multiple accounts, others wants to delete their Facebook account because they are being abused by other users and others want to delete their Facebook account because they do not wish to be seen online anymore, etc. But before you delete your Facebook account, I would like to share with you some important things that you may, or you should remember to do before giving up your social life. If you have decided to leave Facebook, be sure that you have made that decision correctly and you won’t click on any ‘like’ button, you won’t wish to chat with any one on Facebook, and you won’t wish to browse any Facebook page. This is because, some people decide to delete their account, but just a day after deleting their account, they log back in and like statuses, chat with friends and other stuffs. If you have created a group or a page on Facebook, and other members are happy using your group or sharing news in your page, let them keep on enjoying Facebook and don’t take the group away from them simply because you want to leave Facebook. Just grant admin privileges to other members of that group or page and let them enjoy while you are out of Facebook. It’s a good idea to let your close friends and acquaintances know that they won’t find you on Facebook anymore. Just inform them that you are about to delete your Facebook account, by doing this, you can exchange contacts and other means of communication with some other good friends that you will miss and who will miss you on Facebook. The last thing to consider and remember to do is to uninstall your Facebook app in your mobile devices and also clear your Facebook login sessions and history. This will help you because someone else can use your device, either mobile or desktop computer and log in again, reactivating your account in the process if you have left the option of your password being remembered on your device. If you don’t think you’ll use Facebook again, you can request to have your account permanently deleted. However, after an account has been deleted it won’t be possible to reactivate your account or retrieve anything you’ve shared on your profile. Then you need to go to https://www.facebook.com/help/delete_account, click on “Delete my account”, then follow the steps to confirm. N/B: It may take up to 90 days for Facebook to delete all of the things you’ve posted, like your photos, status updates or other data stored in backup systems. While Facebook is deleting this information, it is inaccessible to other people using the social network. Some of the things you do on Facebook aren’t stored in your account. For example, a friend may still have messages from you in their inbox. That information will remain even after you delete your account, so you will need to contact the recipients of you want it removed. Then choose ‘memorialize’ or ‘delete’ account. Facebook requires you to fill out an online form and upload documentation. Remember, if you don’t want to delete Facebook account permanently, you can deactivate Facebook account temporarily pending when you want to start using your account again. Remember to drop your suggestions, comments and questions in the comment box. Also hit on the share buttons to recommend others to read!